Thank god I’m not a celebrity who had to walk the red carpet for the Oscars. Wow, people are harsh. Catty comments about dresses and hair to nails and shoes, from hating this celebrity to wondering why that one was even on the carpet, I shudder to think through what sort of scrutiny people who don’t know me put me under. My hair could be the “wrong style”. My nails could be the “wrong color” or “too short”. My shoes “too high”. My clothes “too this” or “too that”. I saw statuses and messages proclaiming peoples dislike or distaste for what they were seeing on their screens and could only shake my head in disgust. What happened to The Golden Rule, of doing unto others as you would have them do unto you? What happened to finding something nice to say about someone or their outfit? It would make a lot more sense than making blanket statements of disdain to their character because of what they’re wearing. Folks, my Mom taught me to judge people based on who they are, and if I don’t know them, I’m in no position to make a judgement on them. I’m not saying that I’m perfect in that regard; I’ve made snap decisions based solely on appearance (and usually what my gut tells me), but I continually remind myself that unless I actually know someone, I should reserve my judgement. So go out and say something nice today. Be conscious of your comments about people you don’t know at all (“I hate them”, “They’re horrible”) and to whom you say them. 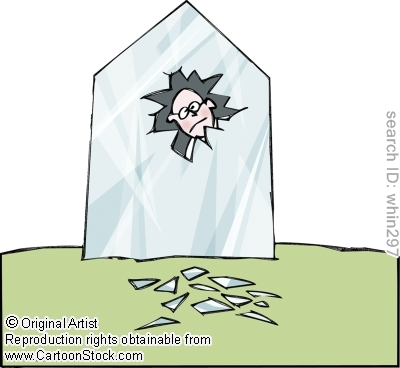 We all live in glass houses now; we really need to stop throwing stones. This entry was posted in Life, Musings, Personal, Random Thoughts and tagged do unto others, judge not lest ye be judged, Oscar Night 2013, Oscars 2013, people in glass houses, The Golden Rule. Bookmark the permalink. Thank you! I just found myself horrified at what people were saying about these celebrities and they don’t even KNOW them as people, let alone remember that most of them work with a Stylist for their red carpet appearance. I didn’t watch the Oscars, I haven’t for as long as I can remember, but the caustic comments were disheartening. Hahaha… I’m the LAST person to ever make a comment about style / fashion. Hmm… should I wear a black t-shirt today, or a black t-shirt?! HA! For me it’s, “Should I wear the old, ripped jeans with a tank top and hoodie… or should I wear the yoga pants with a tank top and hoodie?” I do dress up when I go “out amongst the people”, but otherwise yeah… jeans or yoga pants and a tank top and hoodie are my usual outfits. You know, I actually think the golden rule applies here . . . anyone who scrutinizes another for what they’re wearing / how their hair is done . . . I think they want that same treatment, themselves. But I might be putting too much thought into it. I will admit being completely freaked out when I came across a show on some channel where Joan Rivers & a bunch of people were speculating about what people might wear to the Oscars, what they’d look like wearing such things, and what they should do, instead. So, yeah, the whole “glamour” lifestyle perplexes me. I’ve YET to watch that Joan Rivers show, they seem to be placing way too much importance on wardrobe, hair and makeup than on the actual celebrities they’re snarking about. Then again, I don’t watch a whole lot of TV. Who really cares what these judgemental people think, they have no life and want to make everone elses miserable. And when it comes to the celebs, they are so out of touch with real people. I enjoy their entertainment ability and let them go from there, I could care less about their personal lives. Usually I pity those who fall into the judgmental pool, and I don’t know any celebrities – so I can’t say if they are out of touch or not. As for personal lives and my interest therein… I have none, I have a hard enough time dealing with my own personal life. Sadly, that mindset has seemingly gone by the way side. And people wonder why teen suicide rates have sky rocketed and children are so unhappy and insecure these days. There is WAY too much pressure in society to be this or that, and no effort to be kind and accepting. Thank you for commenting! Teen suicide rates are multi-factoral, from parents who want to be friends instead of parents to images in the media to people just plain being unkind. I agree that there is a lot of pressure in society to be “this or that”, but no effort to be kind and accepting? I’m not sure about that; I try my best to be kind and accepting all the time, and I know that there are others out there who do the same. I think people are inherently “good”, but they fall into a “pack mentality” when nastiness rears its ugly head.